A month sleeping on a Koala Mattress - has it been worth it? 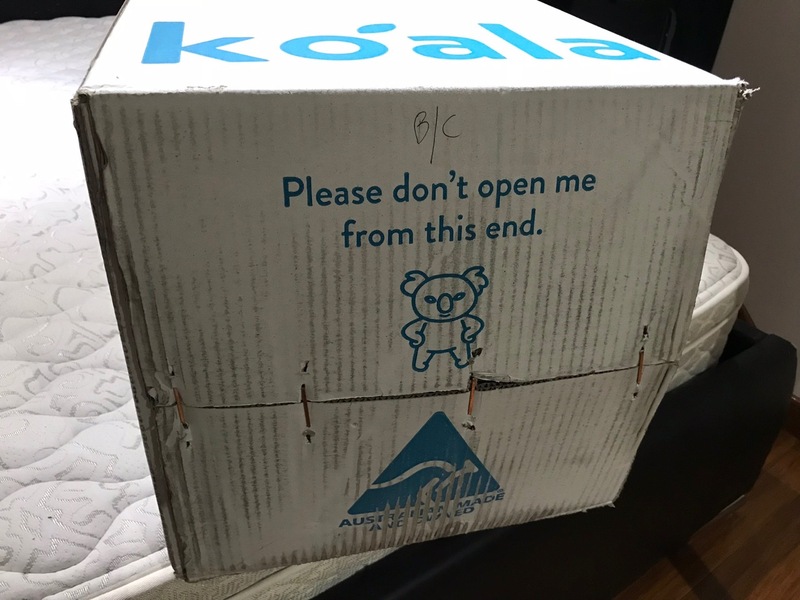 It's been a month since we received our Koala Mattress and I wanted to do an honest mini review and share my thoughts on the product. 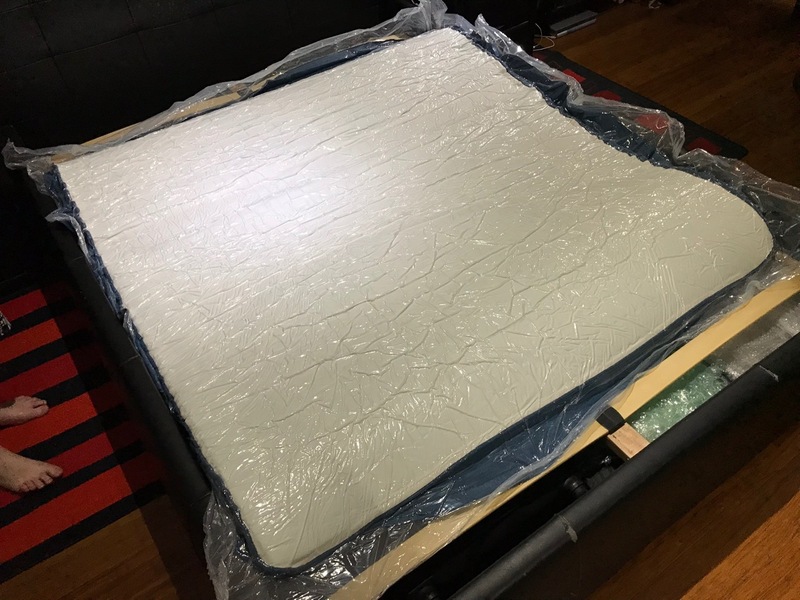 We purchased the mattress shortly prior to New Year's Eve 2018 and since I wasn't travelling for work around that time it meant that I've had plenty of opportunities to tell how good or bad it has been to sleep on and how it treated my back. The previous mattress we had gave me back pains so I was really looking forward to something better! Here it is while it was still in its box, sitting on top of our old spring mattress. I'm still amazed how it fits in such a small(ish) box! 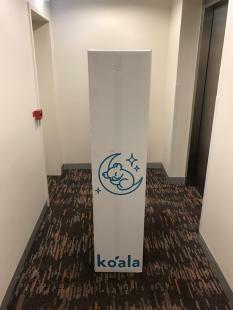 We ordered the mattress in the evening so it was delivered the next day. 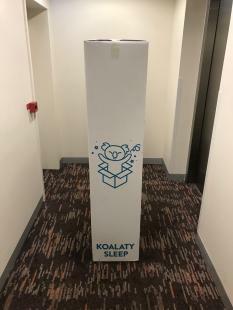 I really liked the live tracking system for the delivery van, being in a high rise apartment it meant I could time taking the elevator down at the exact time the van was arriving. 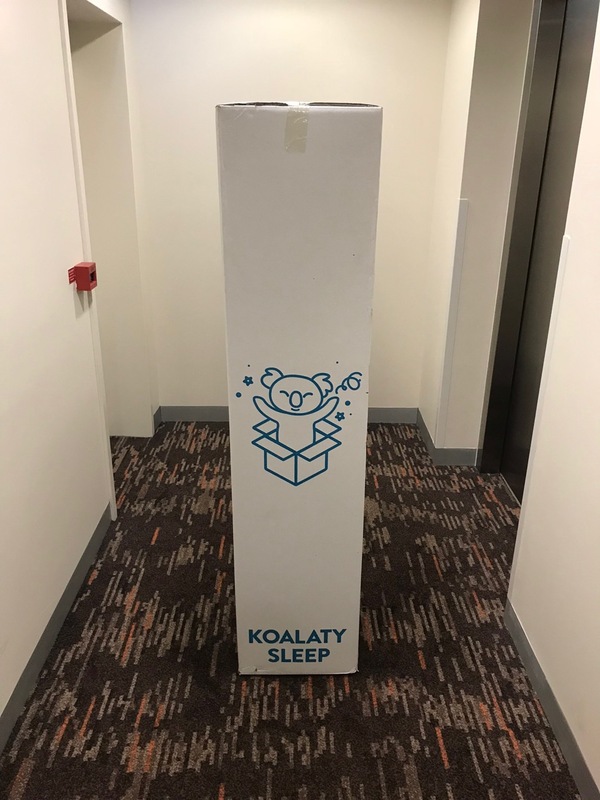 Delivery was quick and efficient and the driver was friendly, though had an odd sense of humour. Even though the box didn't look that big, it was heavy! 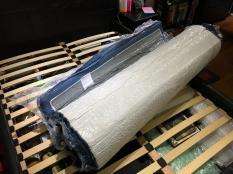 31kg for the queen sized mattress we ordered. I could drag it myself but couldn't really lift it and carry it. 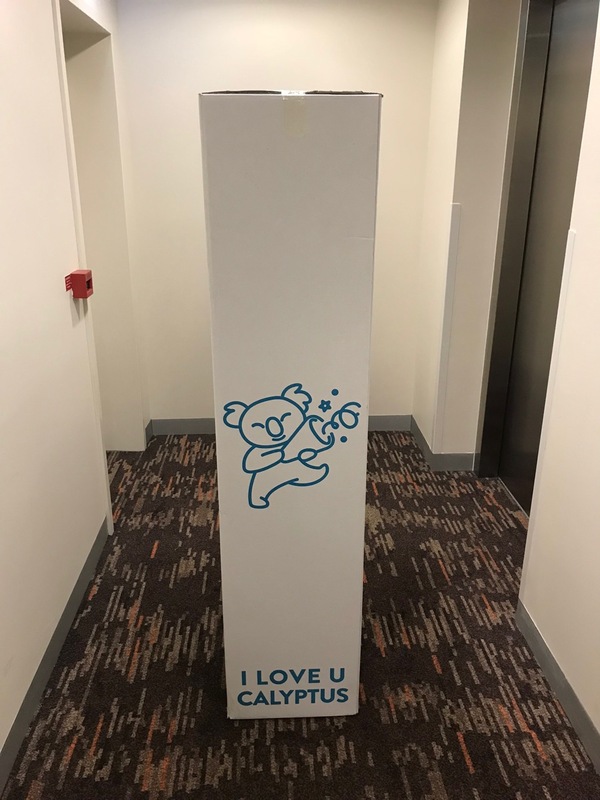 The simple yet punny decorations on the box were a nice touch! Not sure why the box should not be opened from this side, oh well we turned it over to get to the goods inside. 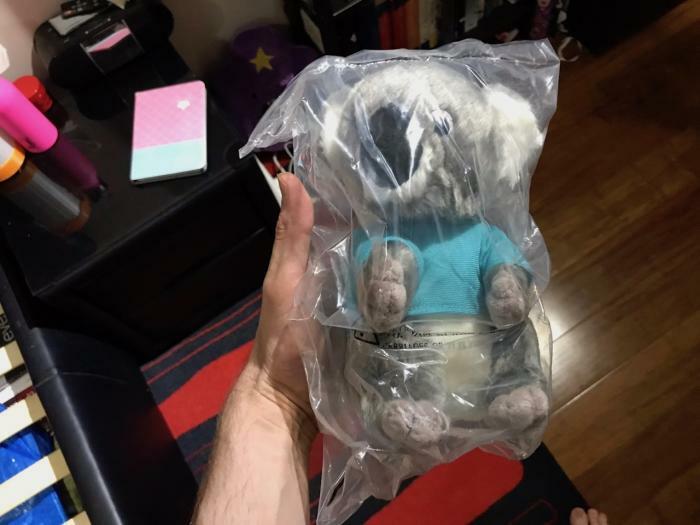 There was a nice surprise inside - a toy koala! 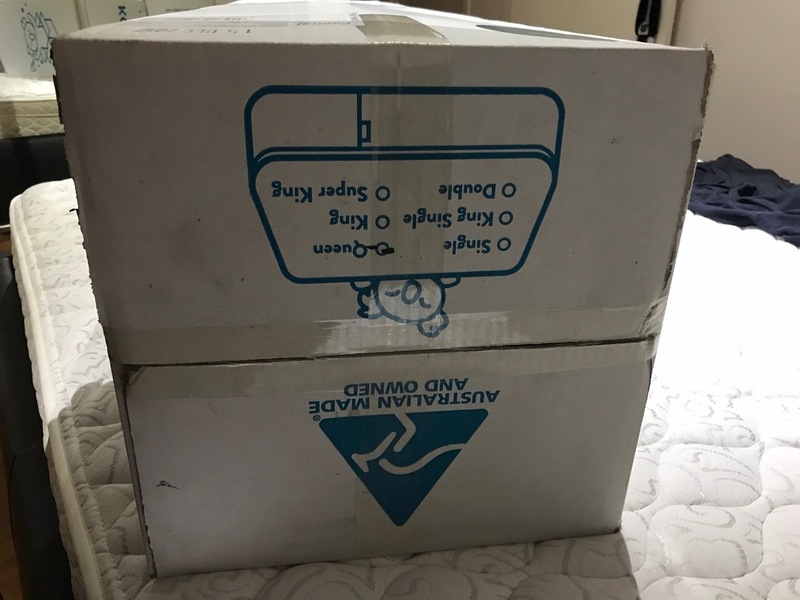 Maybe that was the reason for not opening the box from the bottom? 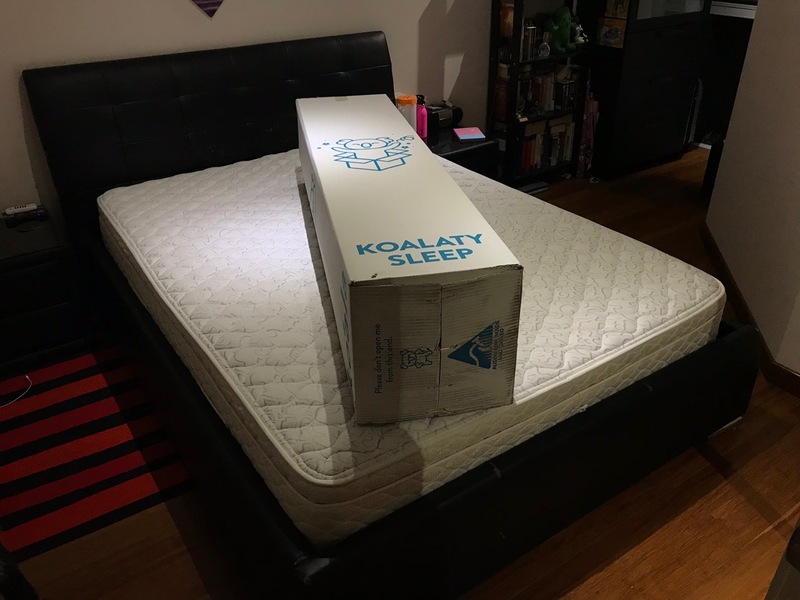 After pulling the mattress out of the box, it was easy to set up. 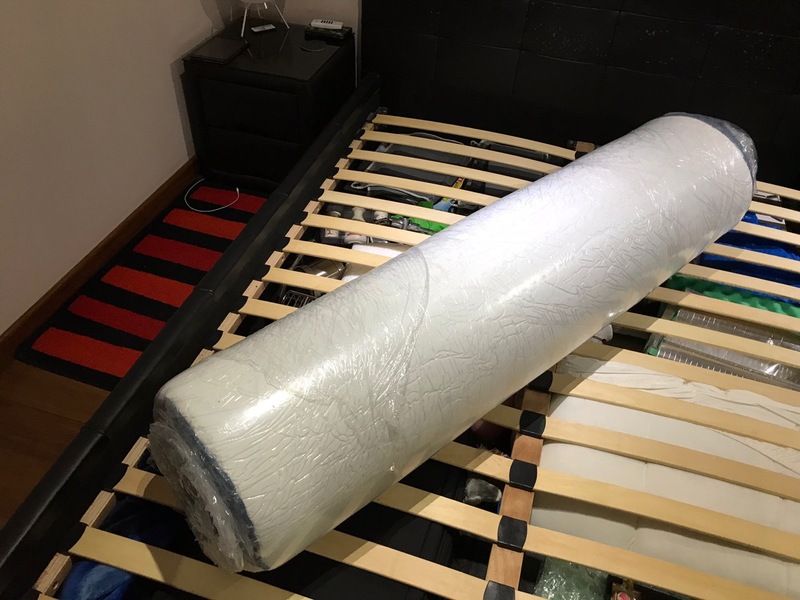 The mattress was vacuum packed so first we unrolled it and then positioned it roughly where we wanted it to go. Then it was time to open the packaging. Whoosh! It inflated very quickly and took its full shape exactly where we wanted it. 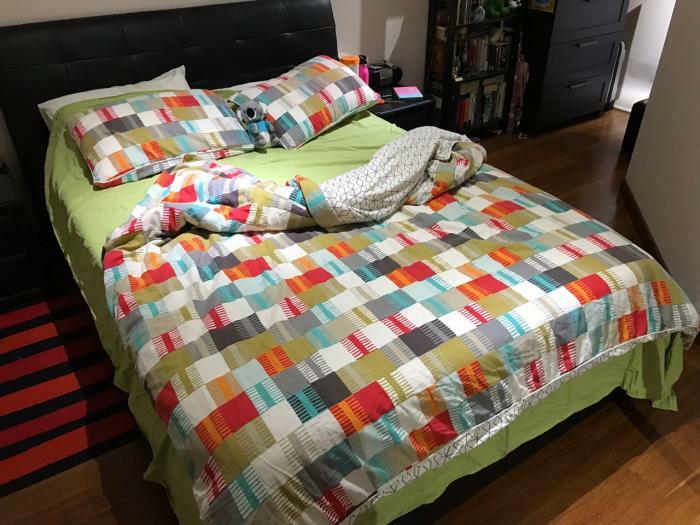 The bed was made and ready to sleep on! It didn't look any different to the old spring mattress. This mattress feels different thats for sure. Sitting on the edge of the bed feels awkward because there isn't enough foam there to support your full weight, so it feels like you're going to slide off. Lying on the mattress feels firm yet comfortable at the same time however. In terms of heat retention - this mattress has been much better versus the old one we had. Even in this hot Australian summer we've been having. It doesn't seem to get hot and trap heat inside it, even with a mattress protector on top. It's actually quite pleasant to sleep on. In terms of comfort - it took maybe a week or two to get used to it for me. Now I find it easier to sleep on it, even on my back. 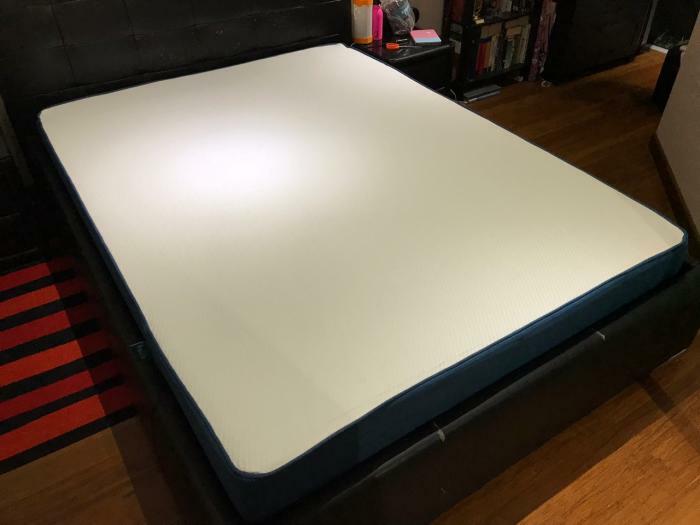 The mattress feels firm and doesn't jiggle around, even though it's made from foam. In the first couple of weeks I wasn't sure it was a great choice, but now my back feels significantly better. I actually quite like the mattress now, it was just a matter of sticking with it. So would I recommend it? Definitely! The price is great, the product is great too and they run an adopt a koala program with proceeds of every purchase, so it's helping preserve Australian wildlife. Now - if you don't want to pay full price and want to get $100 off, you can use this link, treat yourself to better comfort!